SEGA has updated the Sonic Generations product page on their website and reaffirmed a November release month for the Nintendo 3DS edition of the game in Europe and Australia. This version of the game was scheduled for November in a press release when it was officially announced at the beginning of last month, but their website has only listed a “Late 2011” timetable until now. The 3DS version was also missing from a release schedule SEGA sent out to press early this month, suggesting it may have been delayed. 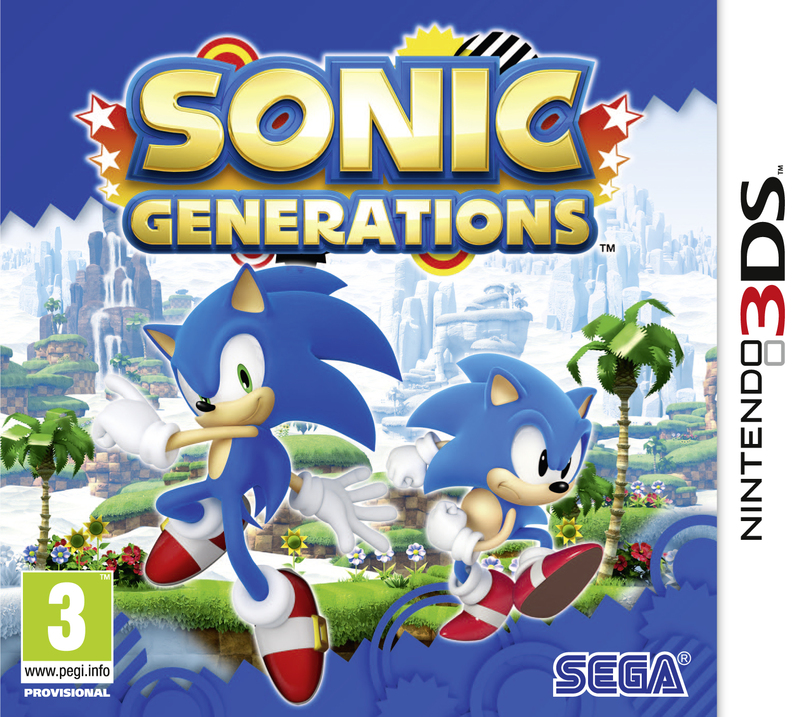 Now it appears we can rest assured that Sonic Generations will hit Nintendo’s handheld the same month it hits consoles. Wait, so the 3DS version isnt coming out in November, for U.S? SEGA of America’s website still says Late 2011, just like it does for the other 2 versions. I think their 3DS announcement press release said November like the EU one, so I assume it’s still down for that month, but because SOA haven’t updated their product page, I didn’t include it in the news post. nope next year, WDF thats not fair! I love being an Aussie! Sure hope they fixed those physics. Ya, your supposed to get 20 free games from GameBoy VC, or just Virtual Console. I bought the 3DS on day 1, and that was a huge mistake. All of the good games don’t come out until 2012. I’m also going to buy the Wii U, but not on launch day. Tbh, the wii u doesn’t impress me. You would expect that Nintendo would reveal the system, not some dumb controller. The only reason I’m getting the wii u, is for mario, sonic, smash bros., and whatever else Nintendo has to offer, that I like. But ya, if any of you guys plan on getting a 3DS, then do it when the price cut starts, which I think is in Aug. 12. …….. 20 free games won’t make up for it, but at least Nintendo cares for the people that already have one. I hope SEGA knows what are they doing. I wont buy 3DS version because I dont have 3DS but I dont want this game to be crap. This doesn’t include boss fights. So, Who agrees? It was confirmed that 3DS ver. has 7 zones each one with boss. It wasn’t confirmed, some SEGA guy said it at E3 said it, but we don’t know for sure 😉 though it most likely is true. Hey C.J. How is it going with avoiding spoilers? Oh and just to let you know I am changing my nick to HUNTER297 its nick I use almost everywhere. See ya. I know. I hope those relase dates are true. Well. I want great improvement about 3DS version. The physic is terrible compared with 360/ps3 version (classic era). Actually, I want only ps3/360 version. If ps3 have better framerate (aka sonic unleashed), I get the ps3 version.